I saw these stickers on a Cafepress store, and thought it was funny, so I ordered one. Here it is installed. 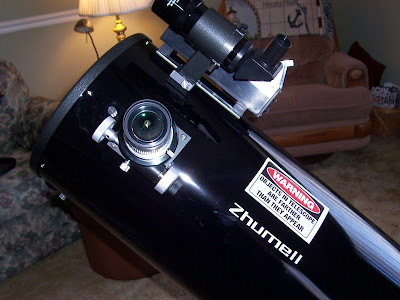 It says "Warning: Objects in telescope are farther than they appear"